Large families have special requirements when it comes to purchasing a new vehicle. Space, functionality, and efficiency are top priorities, which is why crossovers and SUVs have become such popular options. If you’re in the market for a family-friendly vehicle, consider the following options from Mercedes-Benz. This vehicle’s name can be quite deceptive, but the GLE Coupe is more of a coupe-like crossover than a traditional two-door coupe. It certainly has that in its favor, however, because the GLE Coupe is sleek, stylish, and more modern with a youthful appeal than most family friendly vehicles that are currently on the market. Of all the Mercedes-Benz options, it’s certainly becoming one of the most popular among families — and for good reason. The 2016 GLE Coupe features sensual lines, a striking front grille, typical SUV characteristics such as large wheel arches, and a thrilling performance that make it a pleasure to drive. Parents will love innovative safety features such as Collision Prevention Assist, Attention Assist, multiple airbags, hill-start assist, and optional 360-degree cameras, while the kids will enjoy the improved rear-seat entertainment system. You also won’t be missing out on performance; the GLE Coupe features a 362-horsepower V6 engine and 4MATIC® permanent all-wheel drive. If you’re torn between your love of a sporty coupe and your grown-up need to buy a practical SUV, the Mercedes-Benz GLE Coupe is the perfect car for you. With similar features to the GLE Coupe, the premium GLE SUV starts the year 2016 off with a fresh redesign and new technological enhancements that will make any soccer mom envious. Formerly known as the M-Class, the GLE SUV was around for nearly two decades under its previous name, so it’s a tried-and-true vehicle that families have loved for years. Even so, the latest GLE SUV has only gotten better with all-LED lighting, hand-fitted upholstery, intuitive console controls, and room for five adults to stretch out in comfort — you know the kids will have more than enough room in the back. When the 60/40-split folding rear seats are stowed, you have access to 80 cubic square feet in which to store your goods, which is plenty of space for any growing family. Even better, the premium sound system and optional rear-seat entertainment system turn your SUV into a mobile theater, which is a must for keeping the kids entertained on those long journeys. The Mercedes-Benz midsize luxury SUV, the GLC, is an exceptional vehicle offering a muscular new look, enhanced sportiness, ample seating, and an available 4MATIC® all-wheel drive that navigates even the slipperiest roads with confidence. Virtual eyes monitor the road ahead to implement forward-thinking safety technologies at a moment’s notice, taking you one step closer to autonomous driving. Your GLC has a 360-degree view around your vehicle as well as the ability to spot potential hazards and alert you to them, helping you avoid collisions. One of the best things about owning any Mercedes-Benz SUV is the ability to connect to mbrace® via your smartphone, and the GLC is no exception. This feature allows you to remote-start your vehicle and enjoy in-car apps, streaming audio, and WiFi, so you can always stay connected no matter where the road takes you. In today’s world, this is simply a must-have feature not only for kids and teens, but also for parents. If you prefer a boxier, heartier design that’s truly top-of-the-line, you can’t go wrong with the G-Class SUV. Built to stand up to the most active families, the G-Class is both purposeful and elegant with a hand-welded steel body and sturdy ladder frame that are corrosion-resistant. It’s an attractive and unexpected SUV that looks equally at home off-roading on an African safari as it does traversing urban city streets. This durable SUV features a permanent all-wheel drive system, DISTRONIC PLUS® cruise control, a rearview camera with parking sensors, Blind Spot Assist, and the Mercedes-Benz mbrace® system. The G-Class also features an intuitive center console with navigation and communication systems that can be operated hands- and cable-free, while the three locking differentials allow you to customize your off-roading experience. Opting for a handcrafted SUV with either a 563-horsepower V8 or a 621-horsepower V12 may seem excessive, but when you simply must have the best for your family, you can’t argue with exquisite luxury. Deciding on the perfect family vehicle can be difficult when you have to consider everything from kid-friendly entertainment options to the most innovative safety technologies. 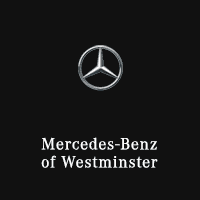 Thankfully, Mercedes-Benz of Westminster has plenty of options on offer, making the decision easier than ever.